The above painting is from Martin Bulinya's Collection. Acrylics and Pen on Paper or Canvas. with Code "New" for a new total of $37. 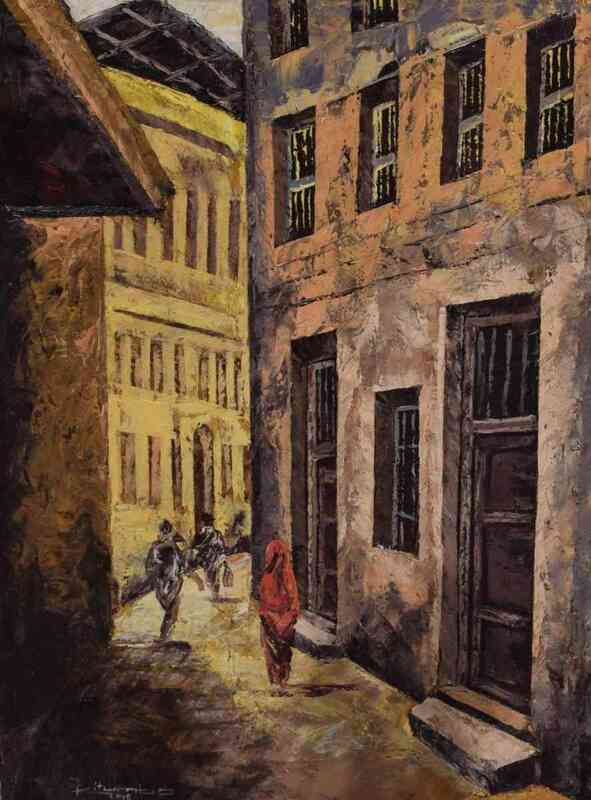 Title: "The Alleyways of Zanzibar"
The Tanzania Cooperative is an organized group of artists that paint together under one roof. They are managed by an administrative group of elected officers from the Dar Es Salaam community. 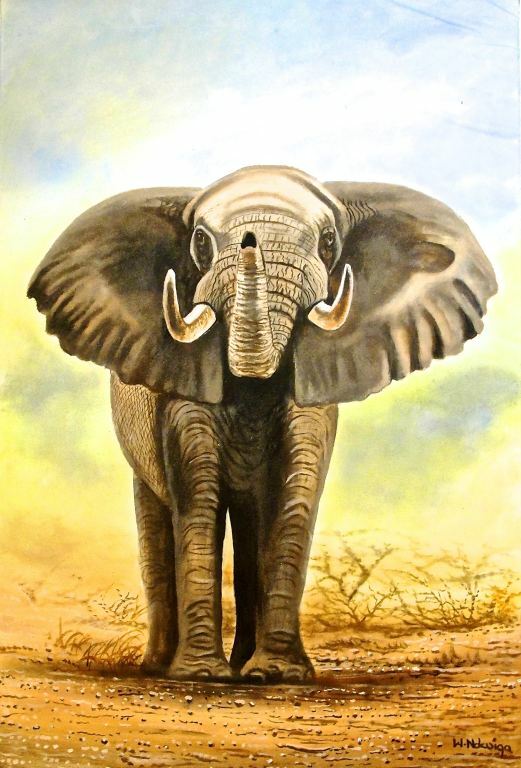 Shop amongst 130 New Paintings! On Sale for $349 plus take an extra 25%* using Coupon Code "New" That would bring your total to just $262. Free Shipping Worldwide. Great Deal! 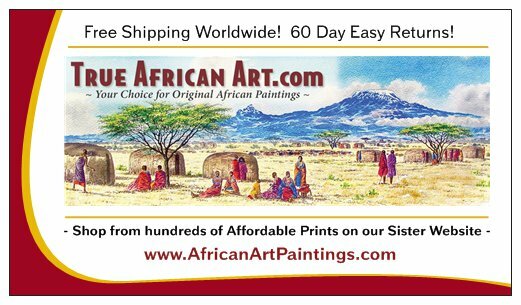 Shipping Worldwide Included on All Paintings! Not comfortable with online transactions? We accept phone pyments and other "in person" choices as well. 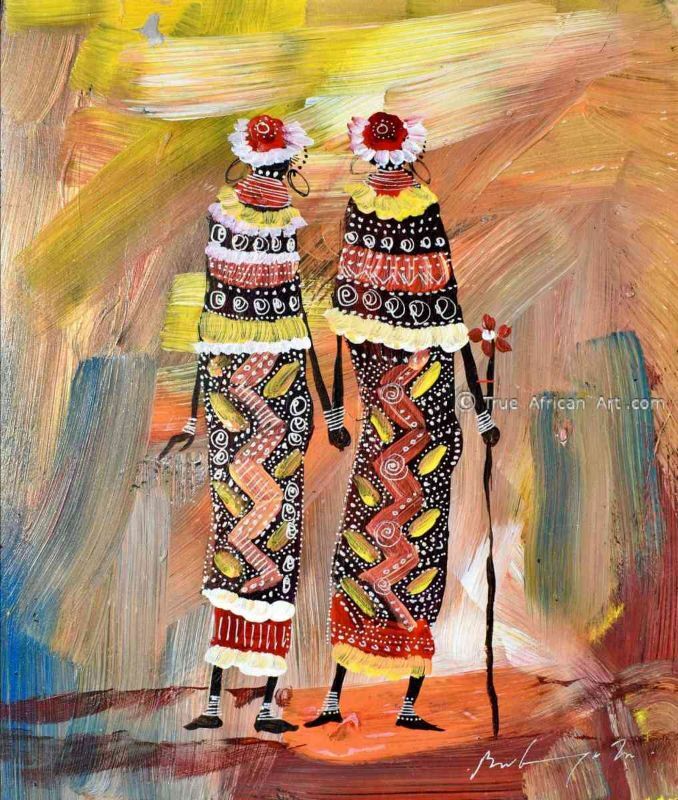 Kowie Theron, Tingatinga Cooperative Artists, Simon Muriithi. 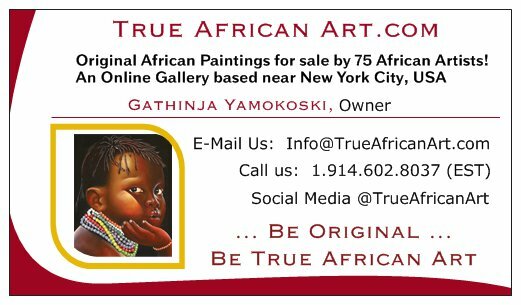 © 2004 - 2019, True African Art - Free Sharing Permitted, Commercial Use Prohibited.